Stop! 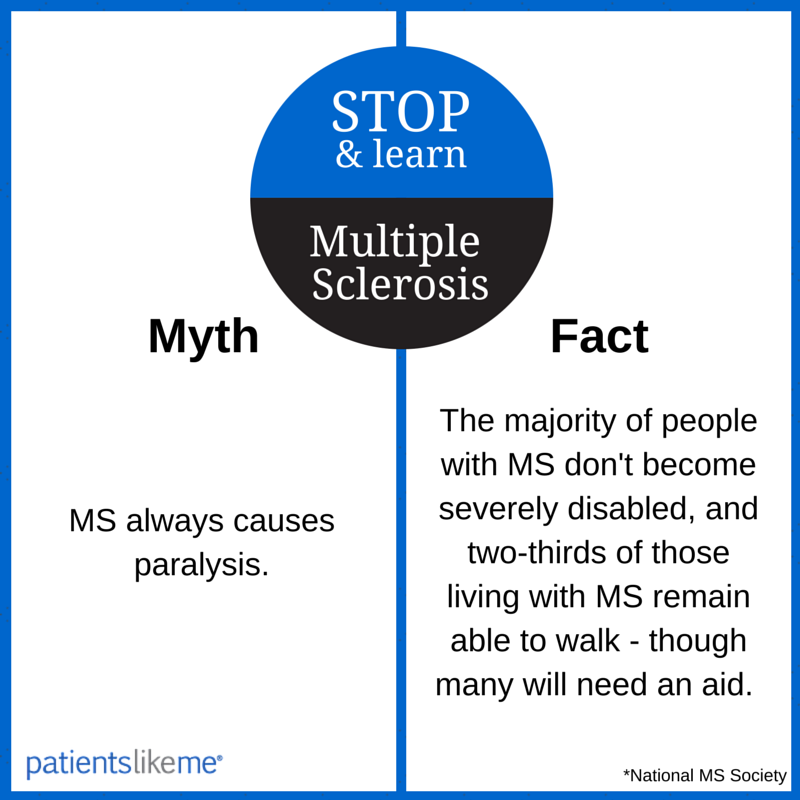 What do you know about multiple sclerosis (MS)? 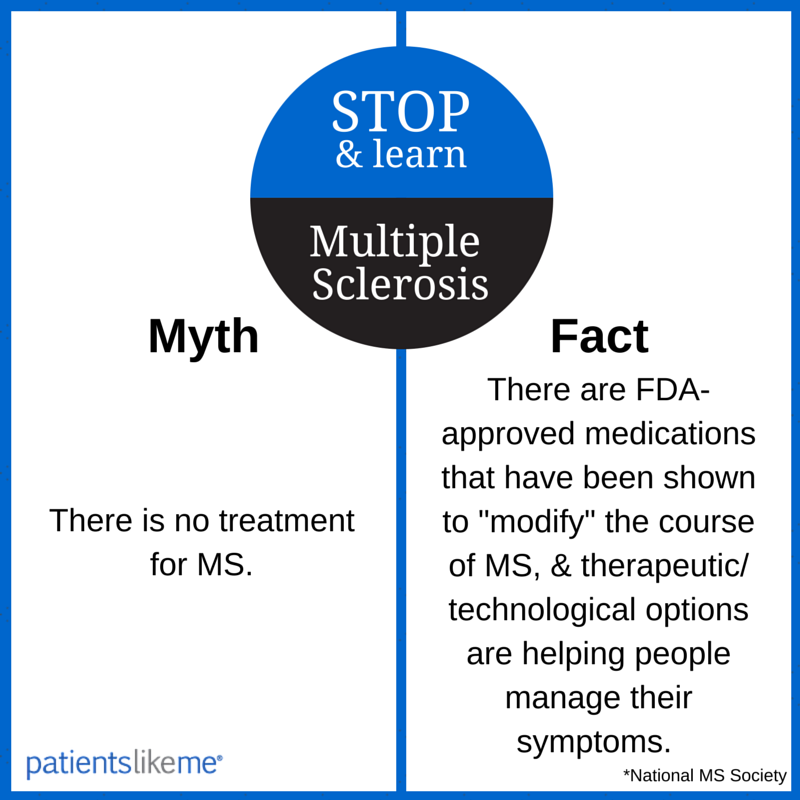 That’s the question we’re asking during MS Awareness Month. We’ve heard from many community members that people don’t always get what it’s like to live with MS, and that there’s wrong information out there. So as part of ongoing awareness efforts, we created shareable photos that will hopefully dispel some of the myths surrounding the neurological condition. There are 13 shareable infographics in total – click here to view the gallery. Don’t forget to use the #MSawareness hashtag when you post on your Facebook or Twitter. 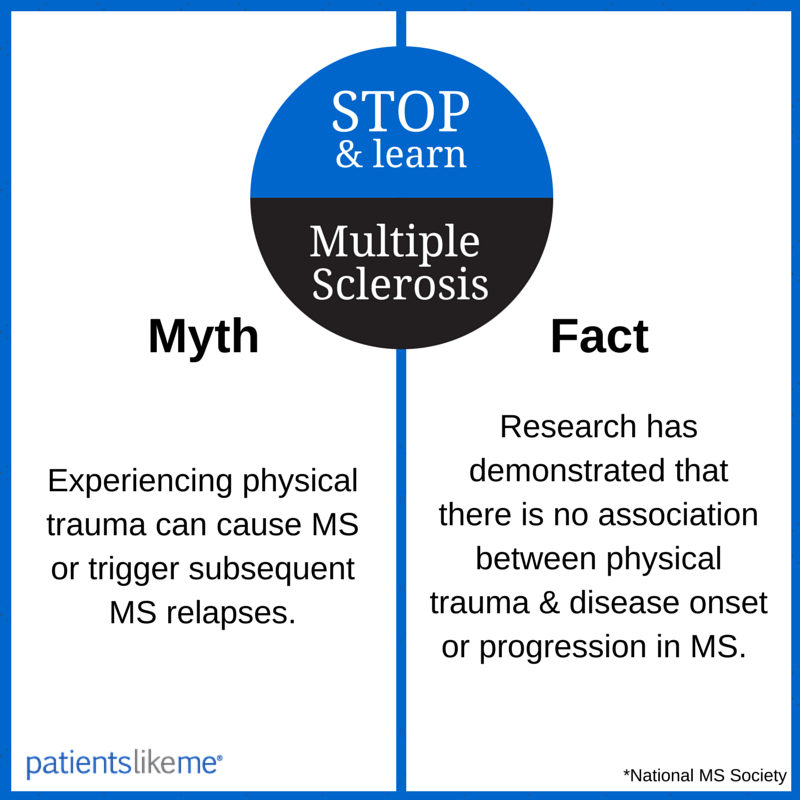 Let’s kick things into high gear and start dispelling myths about MS this month so that everyone is armed with better information all year round. Already a member? Awesome! Click on any of the links above and join the conversation. Not a member? No problem. Sign up for free here and then add your thoughts. Every voice is welcome. 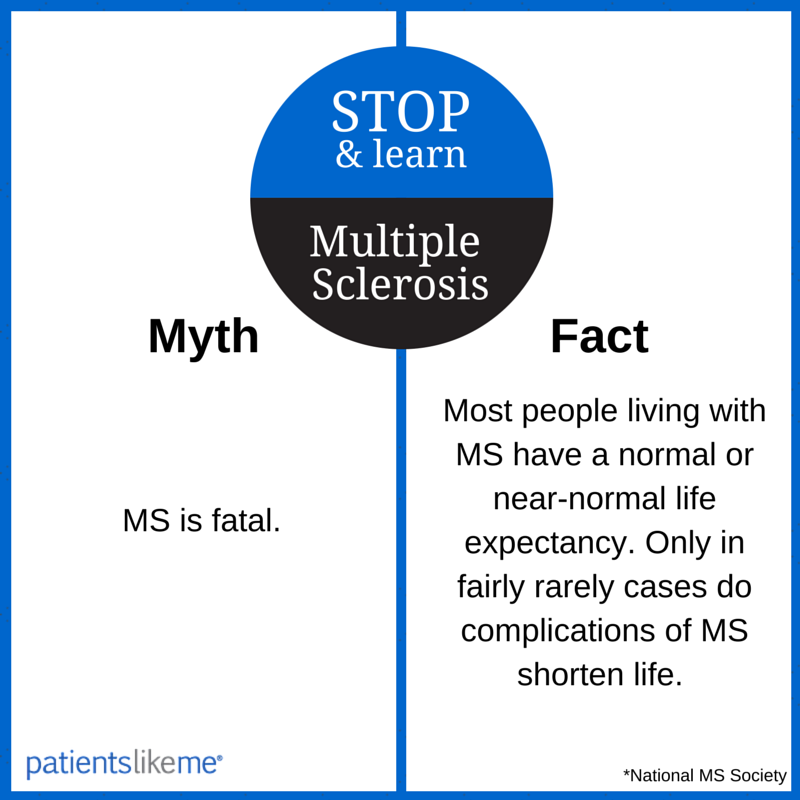 Share this post on Twitter and help spread the word for MS Awareness Month. As many other chronic diseases, Multiple Sclerosis is thought to be caused by a combination of genetic susceptibilities and environmental triggers. These will vary by the individual, and uncovering them is the quest of Precision Medicine. The triggers will vary by the individual. Going upstream to identify susceptibilities and triggers should be the priority for research and treatment. SPLENDID SPLENDID SPLENDID!! !ce frumos o tine pe fetita in brate!ma rog la Dumnezeu sa revina cat mai curand la noi!! !va pup cu drag pe toate si multumesc mult pentru ca am posibilitatea sa imi exprim fericirea si bucuria si ca ma pot bucura la nesfarsit de poze si fiu.tlelem..sa retraiesc minut cu minut acele momente fericite!! !